Not a pretty sight. . .
Jerry Strickland, who ran Sound City, started Soul Power with Lewis’ to issue records on artists being recorded at the studio. The AMM singles released were: “Black Water Gold (Pearl)” b/w “Making Nassau Fruit Drink” (#109), “A Girl In France” b/w “Tropical”, “The Dapp” b/w “Never Name A Baby (Before It’s Born)” (#115), and “Camel Time” b/w “Mr. Brown” (#117). While the records made hardly a ripple at the time, over the years collectors have developed a liking for their funk and rarity. Around 2001, Soul Power/Jewel released the LP, Black Water Gold, (pictured), which conveniently and cheaply compiles all the singles. For this feature, I’ve chosen one of the more syncopated band grooves, “Tropical”, from their second single. Drummer Louis “Abdul” Acorn and percussionist Osman make this track a standout for me; and, as in most all the band’s work, Louis Villery’s bass is prominent and jammin’. The horn charts are pretty tasty, too. Villery wrote or co-wrote all the songs, arranging and producing the records, as well. Hearing the sides on the LP collection, it strikes me that they don’t have the unique spark of originality. Instead, these are hip, well-played, yet derivative, grooves that don’t hide their influences: James Brown (of course, that’s “Mr. 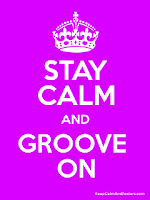 Brown”), the JB’s, Hugh Masekela, War, and even a little Santana. While there’s nothing truly memorable here, this is a band still worth hearing. My picks besides “Tropical” would be its’ flip, “A Girl In France”, along with “Black Water Gold” and “Never Name A Baby”. The LP contains some minimal notes on the band by David Nathan, and the African nicknames of the band members, only a half of which are identified with their given names. The other main artists on Soul Power were George Perkins from Baton Rouge and the amazing Tommie Young. The label folded around 1974 (except for this LP compilation almost 30 years later); and I don’t know much about the group after that, other than Villery went on to play in B. B. King’s band for a time. I look forward to getting to some more of these sides at a later date. 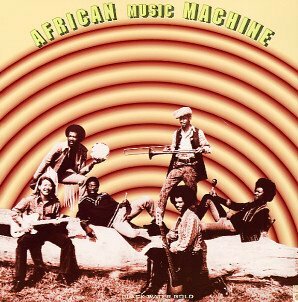 Louis Villery IS the African Music Machine! HE was a session musician for the Paula/Jewel label--not the other members in AMM. He assembled the band of musicians, gave them the "ethnic" monikers (Jumbo,Amal, Yuseef, etc.) and wrote every song. He released a another African Music Machine record in 2001 for the E-Music label, which is currently out-of-print. He is alive and well living in Arkansas trying to launch a "comeback" and collect all the checks due from these releases. I met him over ayear ago and speak to him on the regular basis. All of my information is straight from his mouth. Thanks for the information, Da Clinic. It's hard to come by on AMM and Louis Villery. I'll move your comments onto the post. Any further insights or updates would be appreciated.